While some fashion retailers sell large quantities of just a few products, others have a catalogue stretching to several thousand. There is no right number of SKUs to have of course, but when it comes to storage, stock control and reporting, there is often a fine balance between looking at the big picture, and not seeing what is important in the details. Unfortunately too many businesses get it wrong and as a result waste a lot of time and money; something that can make a big difference in the world of multi-channel eCommerce. Clearly if a fashion retailer lists more lines, the retailer will need to keep more inventory which equals more capital investment. If you assume a 10% cost of capital (what a bank will charge for a loan, or what a retailer could make with the cash elsewhere) then the cost of holding £10,000 more stock is £1,000 a year. Therefore to justify the additional lines on this value alone retailers would need to make an additional £1,000 more profit after tax (not just £1,000 more income) to break even. This might be £4,000-10,000 in turnover for most businesses. Fashion retailers also need more space to store the inventory, and to invest more capital again in shelving and racking to hold it. The cost of storage can vary from free (back bedroom) to cheap (sub-urban warehouse) to expensive (city centre store). Other costs include the overheads which are very hard to apportion, which can be substantial. Managing the inventory levels and producing orders, managing more suppliers, time spent stock counting, time spent looking for items in storage. The greater the number of lines a retailer has, the harder it will be to pick and pack orders accurately and on time without increasingly sophisticated software. If a retailer holds a large number of product lines it becomes critical that they order the right quantities to prevent over stocks which loses retailers margin and under stocks which results in loss of sales, all of which takes time and effort. These costs alone can have a negative impact on the value of the products and their margin particularly when some product lines are slow moving or do not sell at all. If one product sells half as often as another the above costs will quickly stack up and make the slower moving product less valuable and may even lose the retailer money in the end. If a retailer has 1000 SKUs with 500 single item orders per month then only 50% of the stock held is moving each month. 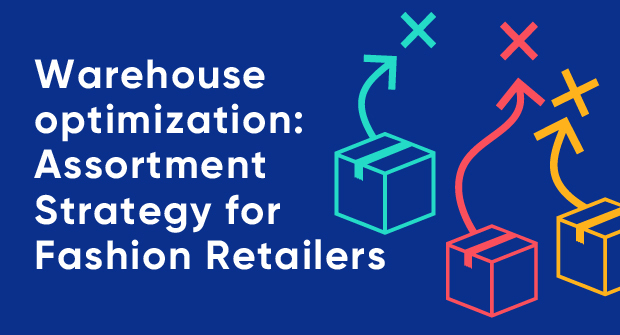 Managing this is key to success for online fashion retailers. Identifying which items need an uplift in sales can be difficult to identify quickly. Retailers that sell a small number of products often task themselves to achieve high product margins as opposed to high volume that like to ‘Pile it high, sell everything’. For example a retailer might have 1000 orders per month and 2000 SKUs, often the view is taken that sales can be increased by doubling SKUs. This is not good selling, anyone can sell something on eBay tomorrow, it does not make them a great salesperson. Increasing SKUs is not a sustainable business model for the SMB retailer. Large brands such as John Lewis or Topshop sell a broad product range and they are very good at managing the long tail, it is what their business is built on. They constantly monitor data to ensure they are sweating the most from their products that take up valuable space on their shelves/pages, but crucially they are great at managing this and dropping the under performing SKUs. It is important to find the right balance of variety to the customer and bottom line profitability for your business. In order to determine how many SKUs work for a retailer, firstly it’s worth looking at how the market retailers are selling in response, as they change the number of products in stock. While choice is something many consumers look for in fashion, too much choice might make it difficult for consumers to decide; possibly reducing (or at least not improving) sales but considerably increasing overheads and inventory value. What an acceptable level of choice looks like will depend on the market sector. For example, consumers looking to buy sports clothing will expect a range of garments, available in many sizes, with a selection of styles and colours, whilst those looking to buy street clothing or cashmere jumpers will probably settle for a more limited choice, provided the item they require is in stock. A good way of getting a feel for the sector is to have a look at competitors both in store and online. From this, it is possible to assess whether more lines are needed or fewer, but there are other factors. As a fashion retailer grows, they will sell more stock and so have a quicker stock turnover. Since large companies can place larger orders more often, it’s much easier to have more product lines. For example, a small company might order a box of 12 shirts once a month, providing them with four weeks stock of that line. A larger company might sell that quantity in a week, so could place an order for four boxes and still have the same stock cover (i.e. 4 weeks stock). Alternatively, they could order one box each of four different SKUs without increasing their warehousing requirement. If a small company were to try and do this by ordering in part cases, purchase costs would likely rise, and just one customer ordering 3-4 of the same item would put them out of stock - which will definitely lose them sales. It is a problem for the fashion retailers who have to have variation. There must be size variation, but the key issue is style variation because taste is subjective. Retailers cannot stock something to please everyone. Therefore you need to be selective and offer as few styles as possible to maximise sales. For example nightwear manufacturer Derek Rose and street clothing brand Trapstar do not offer garments in every colour under the sun but this does not impact their sales. This is because they both took great pains to understand their markets and offer a smaller range of products that consumers in their sector want. In some markets, shoes being one and perhaps underwear being another, there is no space for the low SKU retailer. Unless they have a unique product that they are marketing, without a big selection in these markets people will not spend the time to browse only the few. What tools are there to help retailers manage this? (Without the need to resort to huge spreadsheets.) Analysing every single possible sale in detail. While arguably this would give the retailer the most complete information on which to base business decisions, optimising a SMB to this degree simply isn’t possible and retailers need to accept that it never will be. Such is the fast pace of eCommerce, that by the time a retailer has finished creating pages and pages of complex spreadsheets, something will have changed and the process will have to start again – only it will have taken so long to analyse every detail that the competition will be ahead. How is the smaller retailer to compete? There are several methods but most revolve around not holding inventory to start with (the other option is to invest thousands and hope for the best). Just in Time ordering (JIT). Retailers list a large range of products, but by buying only what they have sold and probably by buying several times a week, it’s still possible to offer a good service to the end customer (if not the best) without any inventory. Overheads will still be high, but not intolerable. Drop ship. The retailer is in effect just advertising someone else’s products and taking a commission, however unlike an affiliate scheme the retailer takes payment and deals with the customer service side, while the dropshipper sends the inventory. In this case it is essential to have a good drop shipping partner. Outsource fulfilment. 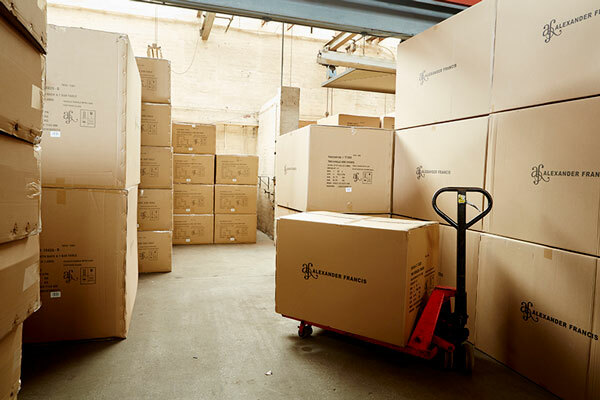 Outsourcing allows retail to apportion the costs of storing, picking and packing a product quite easily. Best in class fulfilment services can offer analysis tools to help fashion retailers see at a glance which SKUs are over stocked but still profitable, which are overstocked and will lose the retailer margin due to the costs of storage and which lines need to be reordered based on the rate of sale and lead times. If outsourcing is not an option the following calculation can provide the information a retailer needs. Calculate the storage cost per cubic foot, and a pick cost per product (divide total annual labour cost by number of items). Likewise other costs can be apportioned in a similar fashion. It may take a while, especially if the retailer stocks lots of lines, but it will provide a real insight into the costs involved. While the above solutions are certainly successful for many companies, retailers that have a small, but carefully selected range of niche or specialist products which they despatch from stock, stand the highest potential of making the best margins.